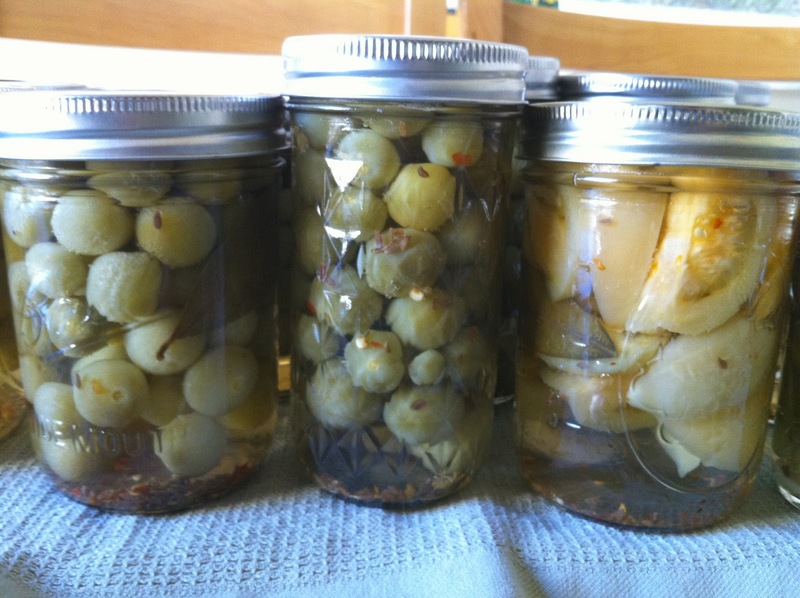 When a cool summer leaves you with green tomatoes in October, make pickles! 12 pints! Throw the green ones into jars with vinegar, salt, garlic, bay, and some seeds. And throw the ripe ones into a pot with some protein and cook them down. 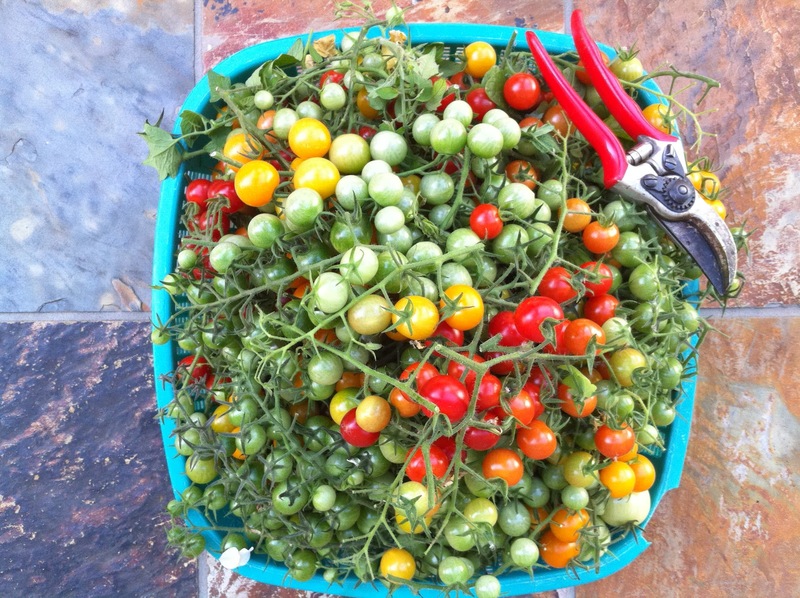 Don't even cut them; smash them with a slotted spoon as they pop open from the heat. I'd never heard of pickled tomatoes. Sounds awesome. Neither had I! Hope they taste ok (fingers crossed).